Y’all have these weeks, right? (Please say yes.) These weeks when the day starts and you blink and it’s over? Spring seems to be the worst for it. School is insane and work is crazy-busy (which is a good thing!) and activities are ramping up and the things that are non-necessary go right out the window for awhile? It’s been like that around here, and we’ve been eating lots of favorite dishes–the things I can make with my eyes closed and what’s in my freezer and pantry. Stuff I’ve already shared with you. The other day, though, I moved my office into my kitchen and started playing with food in between returning calls and doing all the must-dos, and do you know what happened? Besides my house smelling glorious and my mood improving immensely (playing with food is zen!)? My kids declared this the “best dinner ever.” Cleared their plates and asked for more, and it was healthy! Thank you, hour of happiness! Today, you get a twofer. I’m going to tell you how to make my burrito bowls, which are a combination of cilantro-lime scented rice (I call it that because the flavors are subtle but delicious) and the fixings to turn that into a whole meal. Let’s start with the rice. Put a small saucepan over a medium flame and melt your butter in it. Stir in your lime juice and rice and cook it for just a moment or two, to let the rice soak up the flavors. Once the butter and juice have been absorbed, add your water, put a lid on it, and bring it to a boil. Then lower the heat, crack the lid a little bit (to avoid mushy rice), and let it simmer until all the liquid is gone–about 20 minutes(ish). 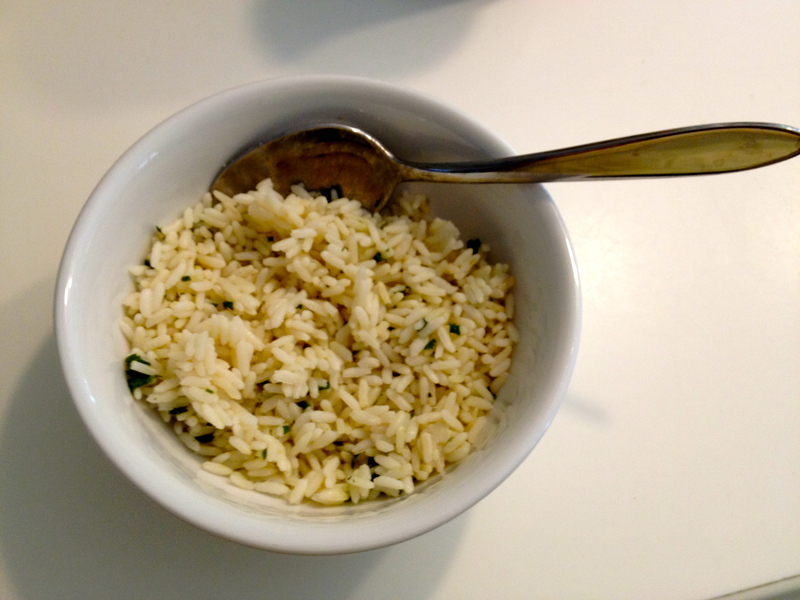 Once that happens, chop your cilantro (you want a tablespoon or so of very finely chopped herb), remove the rice from the heat, and stir everything together. Eat immediately or pop this in the fridge for later–it reheats beautifully. Easy, right? Smelling yummy? So now you need to make the rest of the stuff for your burrito bowls. I’m using beef for this recipe. I bought a 3-pound pot roast and cut it in half. Half went into this dish, and the other half was wrapped tightly and put in the freezer for another night. Pot roast was on sale and we’ll get another dinner out of it. Always good. But you can use chicken or pork just the same–whatever you like. It’s all going to act pretty much the same. This is one of those dishes, actually, that you should tailor for your own family. Use my directions more as a method than a recipe. Use the veggies you like, the toppings you like, the meat you like. Totally versatile. You could even do this with fish, but I’d recommend grilling it rather than putting it in the slow cooker as we’ll do with meat. 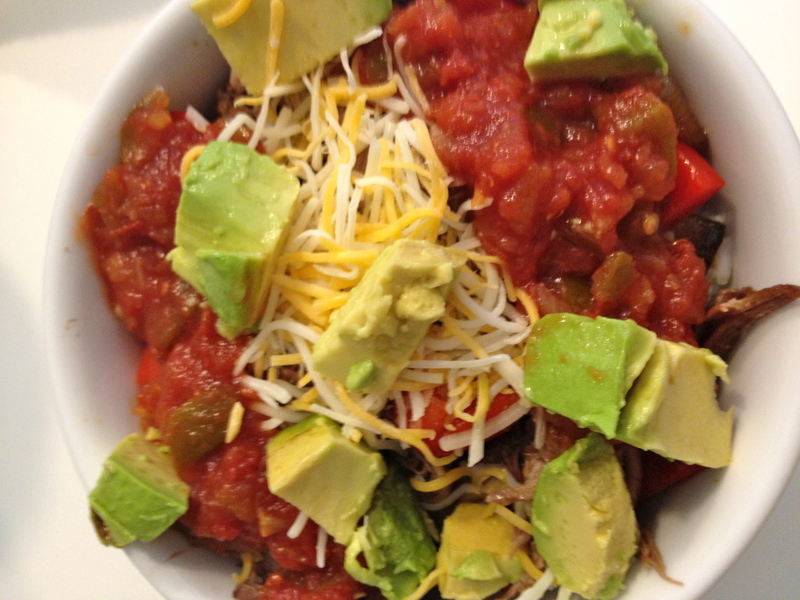 Toppings: We used cheese, salsa, and chopped avocado. 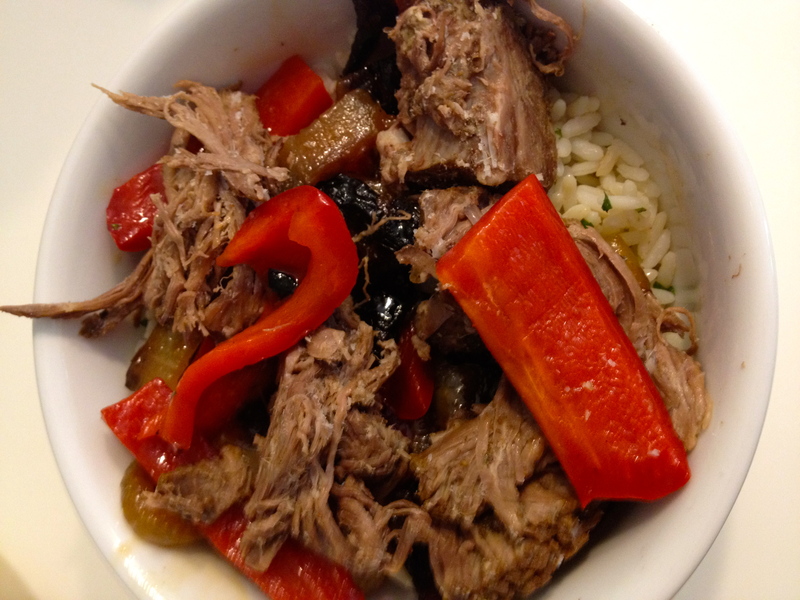 Spray your slow cooker with olive oil. Pour the broth into it. Combine all the spices above and gently rub your meat with them on all sides. Let it sit for 15-20 minutes at room temperature (you won’t die unless it’s a super hot day. Room temp for a bit lets the meat and rub get to know each other. If it’s super hot and you don’t have your A/C on, do this in the fridge for an hour or two.). Gently put it in the slow cooker and cook on low 8 hours or high 4, or a combination of the two. Heat a heavy skillet (I like cast iron for this) over medium heat and add a little olive oil. Immediately stir in your onions with a pinch of salt. Let those cook until they’re nice and dark brown and crunchy-like around the edges. Remove them from the pan and set aside. Cut your pepper into strips and lay them, skin-side down, in the same skillet. Let them cook about 5 minutes or until charred. Put those to the side with the onions. When your slow cooker time is done, carefully remove your meat to a cutting board and shred it with two forks. You’re ready to assemble your burrito bowls! Put a scoop of rice into each bowl and top it with the charred veggies, meat, and toppings. How stinkin’ easy is that? Happy dinner! Ole! 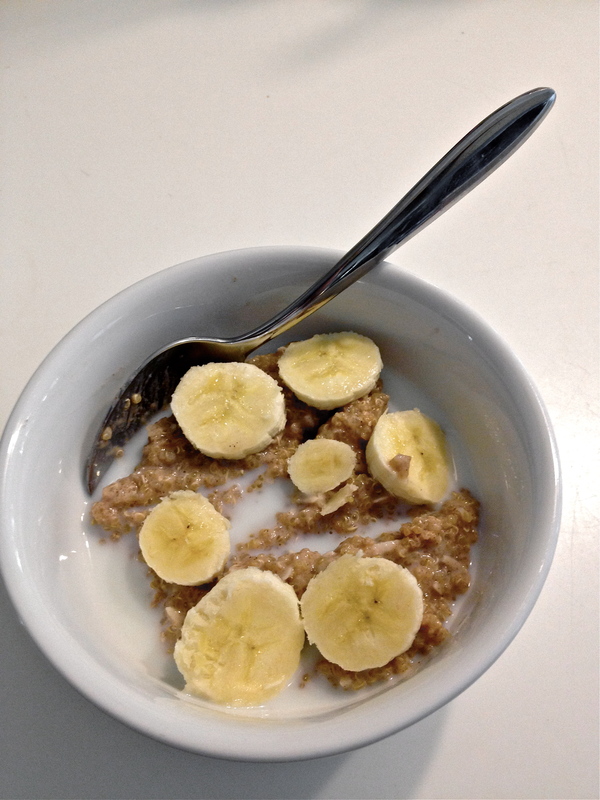 I have a super-healthy friend who loves quinoa (which makes total sense–the nutritional stats on this whole grain are unbelievable and it’s tasty too), and she mentioned to me this weekend that she was going to try to do something with it for breakfast. That sounded like an outstanding idea to me. I mean, if egg protein is good for you first thing in the morning, quinoa protein must just about knock breakfast out of the park from a staying-full-all-morning standpoint. I came home and started thinking about making quinoa a little bit sweet and a little bit cereal-like, and that led to thoughts of rice pudding. If you’ve never had rice pudding, you should give it a try–it’s sweet and cinnamony and really not so bad for you as far as desserts go. Since quinoa cooks like rice and takes up flavors like rice, I decided to make a quinoa pudding out of it, using coconut milk (which is also really good for you) and similar spices to what I’d cook in a rice pudding. To be honest, my first try was less than stellar. Quinoa needs a lot more liquid to get pudding-ish than rice does and I ended up with a good-tasting but too-dense bowl of grains. Whoops. But I made a second batch, let it chill out in the fridge overnight, and dished myself out some this morning with a little extra milk and some banana. Yummy. A little bit goes a long way, what with the whole grain and the protein, and this has the outstanding benefits of being gluten-free and casein-free if you go with all coconut milk (which, for the record, does not taste like coconut. It’s just a sweeter milk than cow milk). Bananas were great with it, but blueberries would also be super yummy. Peaches or apples too. In a medium-sized saucepan, whisk together your milks and spices. Stir in your rinsed quinoa, turn your burner on medium, and let it come to a boil. Keep an eye on this–coconut milk comes to a very fast, violent boil just like milk. As soon as you start seeing bubbles, lower your heat to medium-low and stir every 10 minutes or so for 30 to 45 minutes, or until the mixture takes on a cream-of-wheat kind of texture. I made this while we ate dinner, so the time and stirring wasn’t such a big deal. Take it off the heat and stir in the coconut if you’re using it. Cool, cover, and pop into the refrigerator overnight. In the morning, dish yourself out a bit and add fruit and extra milk as desired. Be happy. You know those mornings when you wish you could snap your fingers and have a healthy, hot, delicious breakfast appear? This is kind of like that. 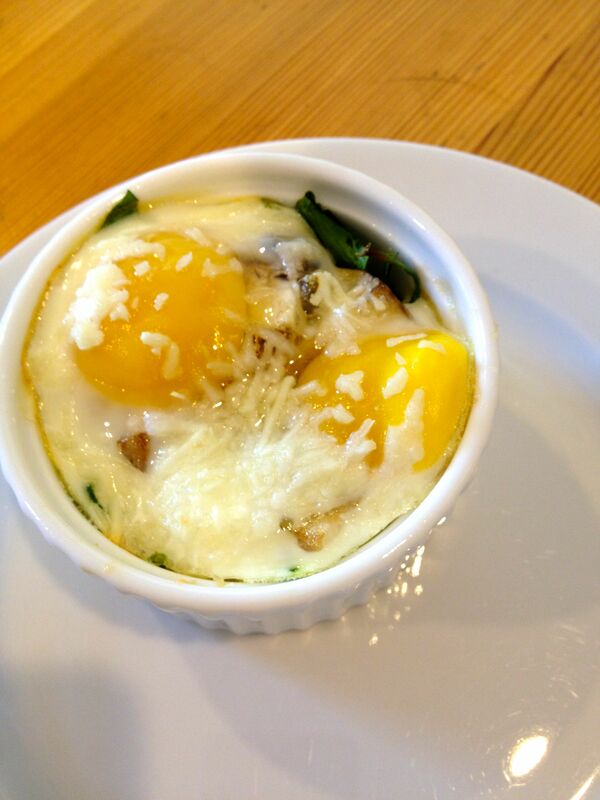 You dump everything into a ramekin and toss it in the oven, and voila. Eggs and vegetables that magically bake together into something that’s sophisticated and yummy, and jam-packed with nutrients to boot. 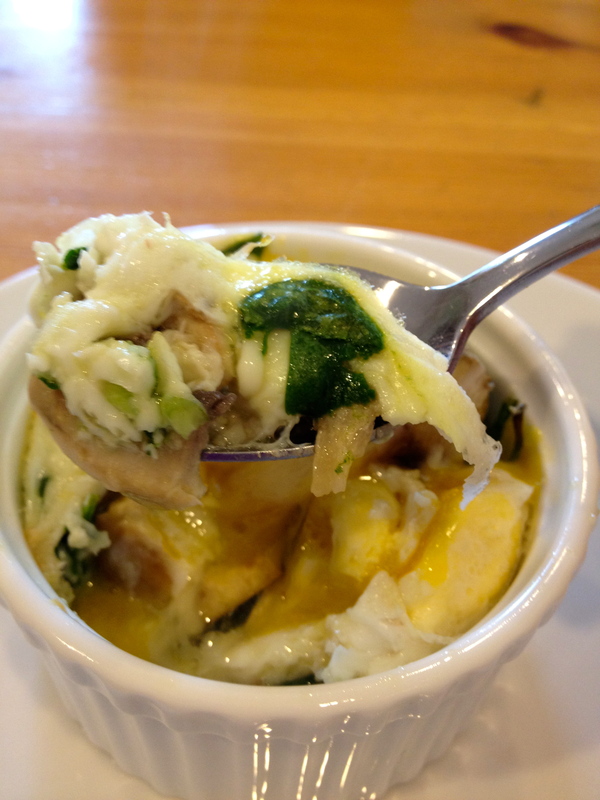 This is a riff off the baked eggs I posted not long after this blog was born. That’s still a great recipe, but I had a bunch of spinach and mushrooms in the fridge this week. They, I decided, looked like breakfast. And so it was. The result reminds me of something you’d get in a fancy restaurant–chi-chi places love putting eggs over salad–and it’s perfect for breakfast, brunch, or lunch. If you have a bunch of ramekins, you could do this for a party–they’re quick and easy and the single portions are perfect for a late morning gathering. And because they’re low-carb, they should work for just about everyone you’d want to entertain. Other veggies you have laying around–tomatoes, broccoli, onion, asparagus would all be nummy. Heat your oven to 400 degrees. Spray your ramekin with olive oil. Put it onto a small baking pan to make moving it into and out of the oven easier. Smoosh your spinach leaves into the dish–it’ll cook down quite a bit, so put in a little more than you think looks reasonable. Give them a small drizzle of oil, and top with the other veggies. On top of that, carefully break your eggs. Sprinkle with a touch of Parmesan cheese (it’s salty–you don’t need extra salt) and pepper if you so desire. Bake it for about 10 – 15 minutes, depending on your oven; take it out when it looks slightly undercooked, because it’ll keep cooking in the dish for a minute or two after you take it out of the hot box. Grab a spoon and enjoy. This is my favorite veggie dish of all time. Bar none. It’s sweet, it’s comforting, it’s packed with nutrients, and it’s super simple. I had a big bowl of it for lunch yesterday and I may well have another for dinner tonight. The leftovers are delicious heated up or cold, and don’t even get me started about recycling it as a breakfast dish with a poached egg on top (oh yummmmm). You should make it, and that’s really all I have to say about it. Really–words don’t do it justice. Preheat your oven to 425 degrees. Cover a baking sheet with foil and spray it with olive oil or your nonstick goodness of choice. 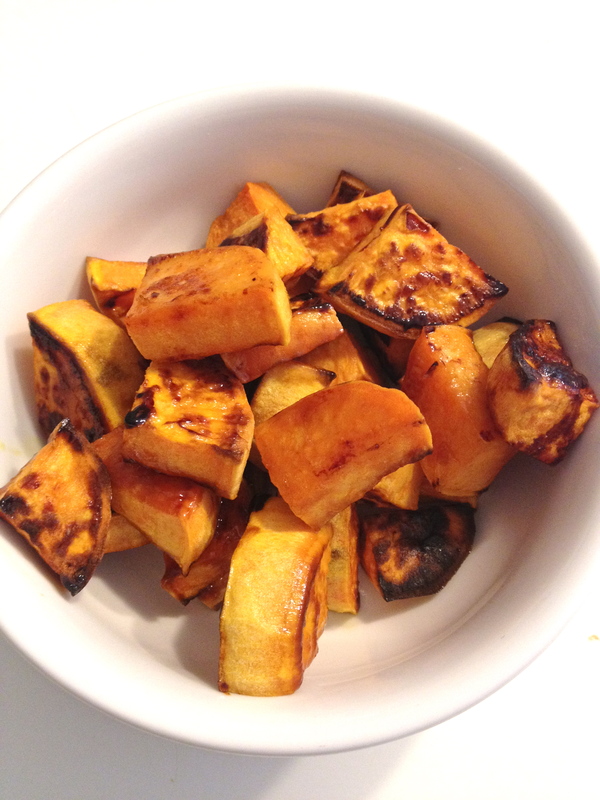 Do not skip this step–you will be very sad when your nuggets of sweet potato deliciousness stick like cement later. Peel your potatoes and cut them into 2-inch pieces (I half them lengthwise, then cut each half into a half lengthwise, and then cut them into slices cross-wise). Plop them into a bowl and stir them up with the oil, honey, and salt. Lay them onto your nonsticked sheet pan with their flat sides down–they’re gonna get all brown and crunchy against the pan, and you want the biggest side to do that because it is so stinkin’ delicious that your taste buds will throw their own little party right there in your mouth. Slide your pan into the oven and let those babies roast for about 20 minutes, until their bottoms start to crunch up. Flip them over, give them another 15 minutes or so, and serve. My 10 year old christened this dish “amazing chicken” tonight. If I could have found the number, I’d have called the Vatican and reported a miracle. There it was, right at my kitchen table. Amazing. The kid ate two pieces, which is one and a half more than normal. And so I had to delay the recipe I wrote today that I planned to share with you (quinoa magic–stay tuned) and instead post this one, which is mostly from Cooking Light magazine. They called for a few more steps that we found unnecessary–this was delicious when kept on the simple side. This entree starts on the stovetop and finishes up in the oven, which makes for some amazingly moist bird. If you fear dry chicken, lay that worry to rest. And if you’re not sure your skillet is ovenproof, just wrap its handle in aluminum foil before you start. It’ll be fine. 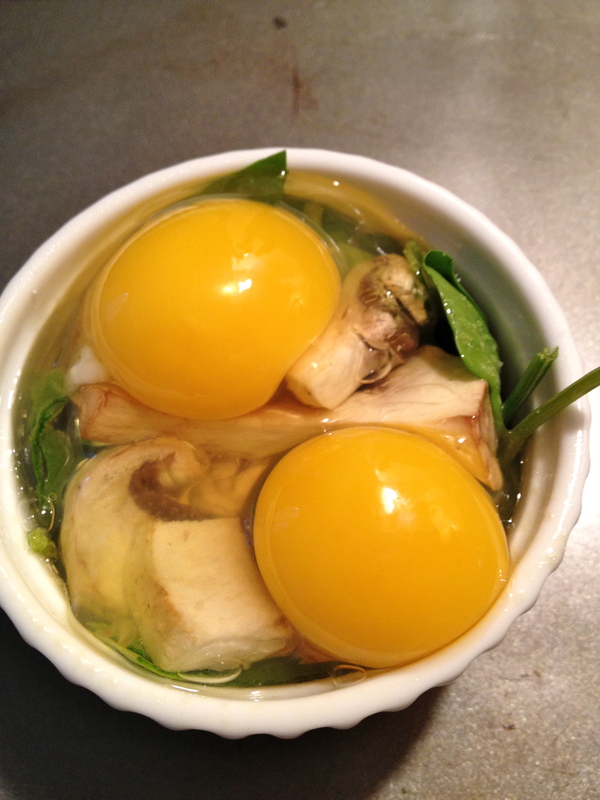 Whisk together the vinegar, soy sauce, brown sugar, onion, garlic, and half the olive oil. 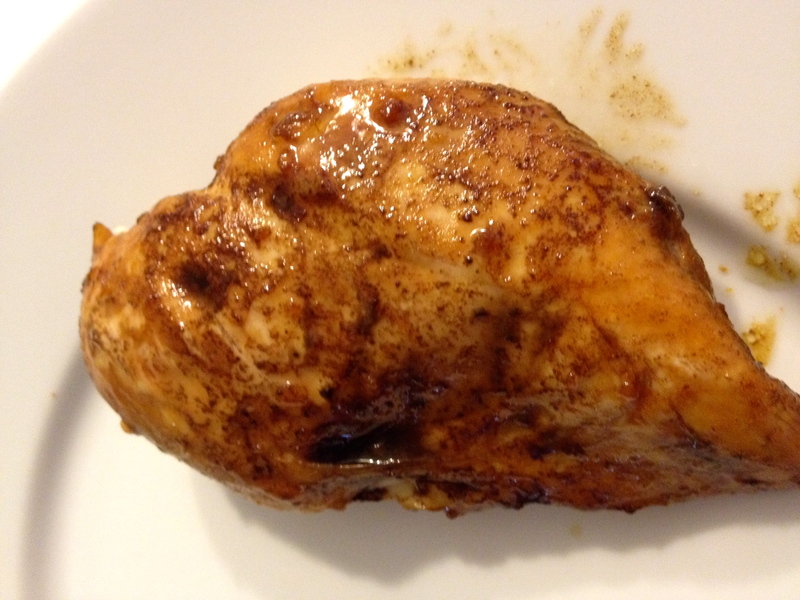 Put the chicken in a plastic bag, pour the sauce mixture over it, and marinate in the refrigerator for at least an hour. Preheat your oven to 400 degrees. Heat a small saucepan and a large skillet over medium heat. 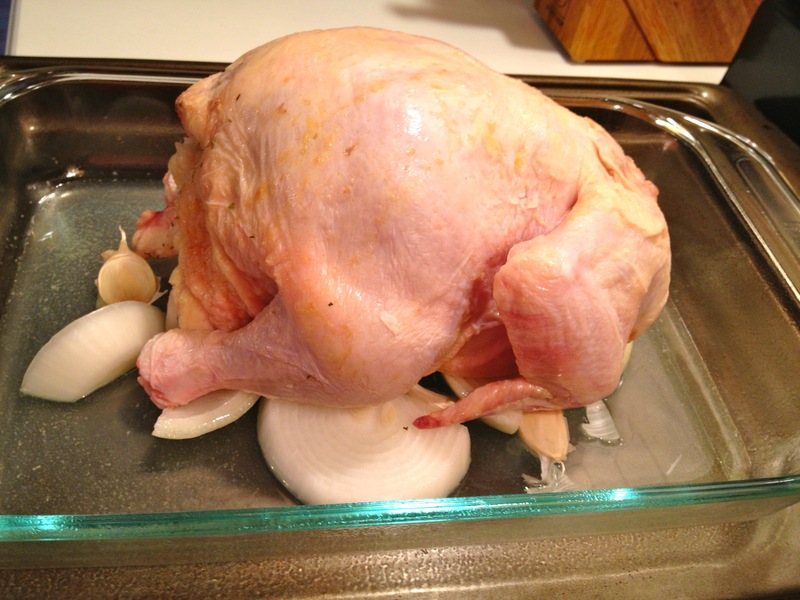 Carefully remove the chicken from the bag and put it in a bowl, and then pop it back in the fridge for a few minutes. Pour the marinate into the small pan and bring it to a boil. Then cook it for about five minutes, until it’s reduced by half. Pour some of that mixture into a bowl and save it. Once that happens, coat the bottom of your large pan with the remaining olive oil. 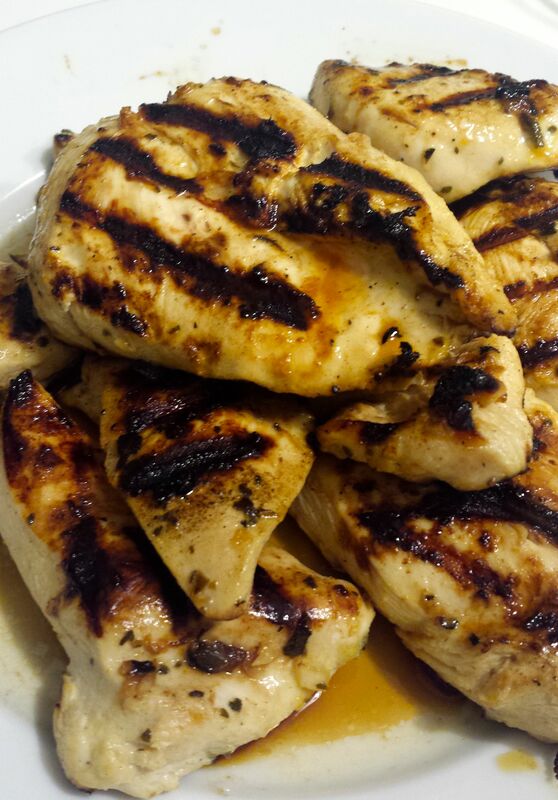 Add your chicken and cook it for about 4 minutes. While it cooks, brush the raw side with the sauce from the pan on the stove. 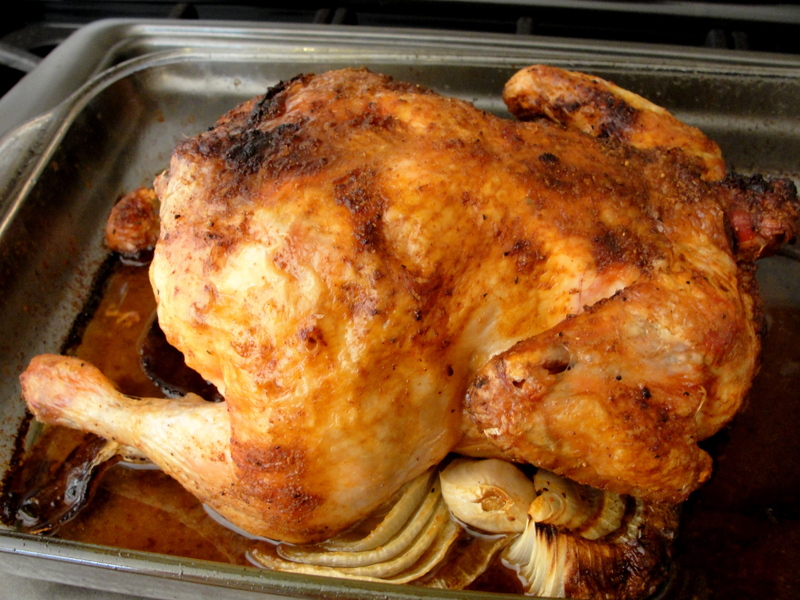 After four minutes, flip the chicken, brush the top side with more sauce, and pop the pan into the oven for six minutes or until the chicken is cooked. Use the sauce in the bowl for dipping if you want to (we didn’t).